The ball drops short - not all that short, but that never bothered him. It disappears a long way away. It happens in one smooth motion, it is instinctive, and pure. In other people's heads there would have been thoughts of other shots, smaller shots, defensive shots, even attacking shots with just a bit more caution. That is not how this batsman thinks. The ball clears the fence easily, goes a long way. The small boy drops his bat and heads over the fence, while his brothers and sister wait. Ryan Campbell doesn't know why he bats the way he does, he just does. Campbell doesn't even know why he plays, he just does. Hong Kong has a rich cricket history. Rich, as in, you needed to be incredibly wealthy or privileged to play the sport. There were many passionate people who loved the sport, but their clubs, such as the prestigious Hong Kong Cricket Club, were more about being seen with the right kind of people, rather than a place to improve cricket in Hong Kong. Their weightiest historical tome is called 150 Years of Cricket in Hong Kong and was written by Peter Arthur Hall. Despite the care and passion that goes into the book, what it really chronicles is not so much a national team but a small club cricket culture. Whether it be the famous Hong Kong Sixes, end-of-season trips or their club leagues, essentially cricket in Hong Kong was played by the people of the major cricket countries who are drawn to "Asia's world city". It was a low-stakes United Nations of cricket. The Craigengower Cricket Club started in 1894 and was a place where, regardless of race, people would mix together. In many ways it was an early forerunner of what Hong Kong cricket would become. Teams full of Pakistanis, Australians, English, Indians, Sri Lankans and locals born in Hong Kong were very common. Occasionally, very occasionally, the locals were encouraged to play. In 1910, at the Chinese recreation club, tennis star Ng Sze-Kwong played in one of the first games made up of Asian and Eurasian players. He made 22. The rich Chinese believed that the English should pay someone to play for them. The poor Chinese often showed promise as net bowlers, but they were seen as inferior to the locals in Sri Lanka and Malaysia. By the 1950s you could turn up to the nets on your own and have the Hong Kong Chinese groundsmen bowl very well to you. But despite this, those players never progressed beyond being walking talking bowling machines. With no emphasis on Hong Kong as a cricket nation, despite the odd tour, there was no reason to encourage the locals to play, so cricket remained the plaything of men like Sir Denys Roberts, the Attorney General and President of the Hong Kong Cricket league. "I was delighted to move there, as an uncle of mine, severely injured in a brawl there in a brothel before the war, couldn't speak highly enough of the place," he once said. Since the '90s, things have changed. The passion for cricket in Hong Kong has changed. They are no longer just a Sunday club league. The ICC funding, small as it was, started coming in, and they started moving the game forward. Much of the current players are descendants of that move. While the names might sound English and Pakistani at times, all but three of the squad were in Hong Kong before they were 18, several born and bred. Their team is a mix of ethnicities because Hong Kong is. Hong Kong as a city has always drawn people in. Now Hong Kong cricket is doing the same. Ryan Campbell is just the most recent one. Campbell is in his cricket academy bedroom. He is Western Australia's No. 2 gloveman, behind Tim Zoehrer, who is not far from retirement. Life is looking good for him. Someone knocks on the door. A "geek with big ears". That geek is about to make his entire life tougher. Adam Gilchrist enters the room and tells Campbell that he is coming to Western Australia. It's like being the Chicago Bulls shooting guard and having Michael Jordan tell you he's joining the team. You might be good, you might turn into one hell of a player, but your life, and career, won't be what you dreamed it would be when staring at the academy ceiling before falling asleep each night. You are now Adam Gilchrist's understudy. Campbell thought his career was over. But another great Australian keeper disagreed. Rod Marsh had an idea based on how Campbell played. Campbell was at his best when he was in backyard mode. When he had too much time to think, it would affect his batting, so why not send him out there first and let him play first? Marsh let him open the batting against England for the academy. England's attack consisted of Devon Malcolm, Phil DeFreitas, Angus Fraser, Shaun Udal and Craig White. Campbell made 57 off 45. He was playing T20 cricket when there was no T20 cricket. The Academy team chased the 245 total with 6.5 overs to spare. Marsh took Campbell aside and told him he was going to be an opener. Campbell had been an offspinner when he was young, and then a keeper, but he had never really thought too much about being a batsman. But in Australian cricket when Rod Marsh tells you he believes in you, that is like being chosen by royalty. Marsh said, "You will play as a batsman, you will play as many games as you want." From that day forward, in one of the greatest batting line-ups in first-class cricket history, Campbell was their opener. There are too many occurrences of Campbell being awesome to properly do justice to how he played. When you were watching him, especially in a Shield match, you were seeing something that shouldn't exist. He was batting as if he was trying to kill a bunch of zombies, while the rest of his team were having calm business meetings. Gilchrist was ultra-attacking, Campbell was a pack of piranhas in a feeding frenzy. He was scoring at better than a run a ball when that wasn't a thing in ODI cricket, and doing it in first-class cricket. At the MCG in one match, he opened with Mike Hussey. When Campbell was out, the score was 144. He made 113 of them at better than a run a ball against an attack of David Saker, Tony Dodemaide and Damien Fleming. And when he really let fly, like in a Lilac Hill tour match in 1999-2000, he was just brutal. A hundred and three off 58 balls. The bowlers included Saqlain Mushtaq, Mushtaq Ahmed and Shoaib Akhtar. Not that bowlers ever mattered to him, they were just there to be hit. The first two words of Campbell's ESPNcricinfo profile are "confident" and "aggressive". Campbell batted as if the normal rules of failure did not apply to him. He was in various batting teams that consisted of players like Chris Rogers, Marcus North, Murray Goodwin, Tom Moody, Damien Martyn, Justin Langer, Simon Katich and Adam Voges. His opening partner was Michael Hussey. David Hussey had to move states as there was just no room in the side for him. And yet, when he batted, there was no fear in Campbell. It was the same boy who hit the ball over the fence as a kid; he was now just doing it on bigger grounds. That is what it looked like to the many young Australian boys who loved watching him play. That wasn't who Campbell thought he was, "In my career I had the long hair and bashed the ball around a bit. But that was the anti me." Campbell was so worried about his place in the team, he would never put all of Western Australia's games in his diary. It was other people who believed in him, people like Marsh, his Western Australian coach Wayne Clark, and his team-mates. His entire on-field persona was the mask he wore to get by. Then came a potentially career-ending knee injury. Then came depression. Campbell only told his family and Clark. The thought of other people knowing terrified him, "Aussie blokes would rather admit they have a sexually transmitted disease before they would say, 'Yeah, I've got depression.' I was typical of that. My parents are wonderful people, but they're old school, they told me to shake it off, you know, what's wrong with ya?" In Brisbane for a Shield match, he almost made the biggest mistake of his life. There was a random drug test. Campbell knew what that meant. He would have to write down he was on anti-depressants. He thought about running out the back door. He didn't want to be known as a drug cheat, but in that moment, he was less afraid of that than admitting, to one drug tester, that he was depressed. Clark, sensing that something was wrong, took Campbell aside and calmed him down. He went into the room and wrote he was on anti-depressants, and when he handed the form back, the tester looked at what he had written and then looked back to Campbell, who thought, "He's thinking, 'He's a sportsman, how can he be depressed?'" Even now, Campbell understands why some, who have never been depressed, won't get how someone like him, living the dream, could ever be depressed. But he also knows the pressures that professional athletes face that most people don't, "We spend our lives at a high-level job, and your failures meant the difference between earning money and not earning money." Campbell is a spokesman for Beyond Blue, an Australian depression charity. When he is in public he feels other men gravitate towards him who want to chat but are too nervous to say anything. So when Campbell senses it, he opens with, "What's going on? Are you okay?" That's not the anti him, it's who he is. 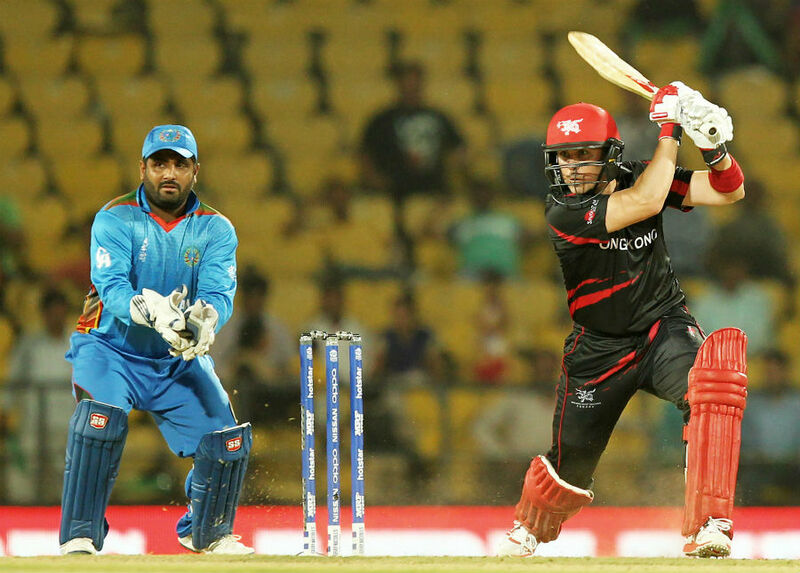 Hong Kong had won a game at the previous World T20 when they beat Bangladesh. They had come equal third in the first qualifying tournament. But they are a team with limitations. Irfan Ahmed is in their top two players, and he did not play in this tournament after he received a ban for failing to inform the ICC of an approach for match-fixing. Few teams can afford to lose one of their best players. For a team like Hong Kong, where they have four cricket grounds (one of which is completely - not just the pitch - AstroTurf), and only 795 registered players, it meant they were almost one short in every game. Against Zimbabwe their bowling held up well, and they were looking at a target that could be chased. Then Aizaz Khan, the 22-year-old medium-pacer, dropped short and wide to Elton Chigumbura. He was flat-batted over mid-on for six. Next ball was a six too. The next over, the last, Haseeb Amjad beat the bat, and keeper Jamie Atkinson threw the ball at the stumps. The ricochet gave away a bye. Worse still, it brought Chigumbura back on strike and he scored ten runs off the remaining three balls of the innings. Campbell came out for the chase but never got going. His pull shot, his shot, the shot that anyone who saw him in his prime would have tattooed in their memory, ended with the ball stuck in his grill. Hong Kong's innings was valiant but it also was stuck in the grill. There was a time when Campbell ate pace. In the second game, against Afghanistan, he was not quite dining out on it, as much as poking it with a fork from a distance. For a 44-year-old man, facing Dawlat Zadran and Hamid Hassan is not a pleasant experience. Campbell was hit on the back of the leg, the thigh, the chest. He backed away and smashed the ball over cover. He backed away and sliced another four. He backed away and swung as hard as he could, and missed. Dawlat gave him the angry eyes that scare Associate batsmen. Campbell had been receiving angry eyes from fast bowlers since before Dawlat was born. He survived the new-ball pair and went after the spinners. There was a quality cover drive. And then a back-foot push through point off Mohammad Nabi that dripped with timing and assurance. Campbell had survived and was now prospering. He was better than a run a ball, his happy batting place. Then he tried to sweep. It is not apparent what happens at first - the crowd, and most of the Afghan team didn't seem to know. Nabi had spun the ball a bit, Campbell was down for the sweep and moved just inside the line to get it a bit finer. Then it's a mess. Campbell sweeps too early, the ball bounces up and off his forearm, probably, maybe his helmet, somehow, with Campbell completely in front of the stumps the ball still makes it back to them, slow enough so Campbell can see himself get bowled. He was 27 off 24. The score was 40 for 1 after 5.4 overs. In the remaining 14.2 overs Hong Kong would add another 76 runs. Simon Cook, their coach, admitted that Hong Kong have a lot to learn. They seem to bat for themselves rather than in partnerships. They cluster wickets together. They don't adjust their minds well to lower par scores. And they panic. No side had ever needed an on-field batting coach more. Kath White, the WACA CEO, called Campbell to congratulate him on his selection for Australia A. Campbell thought she had got confused. Brad Haddin was clearly the No. 2 keeper, everyone knew that. Campbell was only just back in form after his injury and his depression. But the Australian selectors wanted to give Haddin a kick, and with Campbell back in health, mentally and physically, and in form, he was the man they wanted. Soon after, Gilchrist was having a game off for Australia. He phoned Campbell to tell him, and also to say he thought it was Campbell who would replace him. Campbell thought he was crazy. Then Michael Brown from Cricket Australia called him. "Cambo, congratulations you are going to be the 176th player to play for Australia." Campbell thought it was a mate playing a prank and hung up. Brown rang back and told him that if he hung up on him again, he'd get someone else to play. Campbell was on a plane straight to Sydney. He walked into the SCG, then the SCG ladies' stand, then the dressing room, and then he finds the gold plaque with the black writing that says "Ryan Campbell", with his uniform hanging up. He went up to his captain. "Mr Waugh, thanks for the opportunity." Waugh told him not to be an idiot, and to call him Tugga. Around him were Shane Warne. Mark Waugh. Glenn McGrath. Australia took an early wicket, and the group came together and asked Campbell how he was feeling and he said, "You blokes don't understand how loud these people are when 40,000 people roar. Are you guys just used to this, or what?" The next morning he was on a flight back for a Shield match that day. Campbell would only ever play one more match for Australia. Charlie Burke wants to change the culture in Hong Kong. It is a big call for a grade cricketer from WA. But Burke has already gone a long way in professional cricket for someone who never played top-level cricket. He worked for the ICC and then became a coach for Hong Kong. He is now director of cricket for the HKCA. Part of what he is trying to do is change the way Hong Kong treats sport. Hong Kong parents love their kids playing sport, but they don't see sport as a profession. That is what Burke is trying to change. In Hong Kong cricket they are all about pathways. In the Kowloon Cricket Club they have plastered on a wall how you get from being a five-year-old cricketer to the Hong Kong senior side. A side they want to be as professional as any around the world. Along with Burke is Tim Cutler, the enthusiastic former insurance broker who started as a club cricketer before becoming the CEO of Hong Kong cricket. Cutler has a million ideas, boundless energy, and is the sort of passionate CEO you see in the best Associate teams. At one stage during this tournament he hurt his hand from clapping too hard as Hong Kong took a wicket. Cutler, a former grade cricketer from Easts in Sydney, even has an app on his phone that is counting down the days until he is qualified for Hong Kong, should his left-arm orthodox spin be required. These people, and so many more like them, aren't just expats working in Hong Kong cricket for a bit of fun, they are Hong Kong's cricket soldiers. There is no zealot like a convert, and there is something exciting about Hong Kong cricket that keeps finding new fanatics. These people are as passionate as any before them. As passionate as many of the home-grown players are for Hong Kong cricket. And with a plan of how to make Hong Kong a top international side. Cutler and Burke are on a mission, to achieve what they want. They know their team has to win. Associate cricket is kill or be killed. Campbell woke at 4am, sat bolt upright, and he knew. A few hours later he told people he was going to retire. He was only in his early 30s, but Luke Ronchi was coming through Western Australia cricket at that time. Campbell could have stayed around, fought for his place, but he didn't have anything left to achieve, and he didn't want to be a bloke who stuck around for a payday. For some cricketers, the thought of never playing again sends them into a dark hole, but Campbell had already been in the darkness, now he saw a life outside cricket as something he could be excited about. He had already set up his new life. He was a morning presenter on radio station Nova, he was a TV presenter on a show called Postcards, he would later become a sports agent and was also a MC for events. He also commentated on cricket, the IPL (which in his prime he would have been worth a fortune in), and he even commentated on the ABC with Harsha Bhogle, where he suggested Bhogle should get a tattoo. Campbell enjoyed not playing, he enjoyed being free of his cricket commitments, and living the life of a single Perthonality. When the IPL was announced he thought about joining in, but decided it would be ridiculous. Then Damien Martyn and his Ahmedabad Rockets, the ICL side, came calling. Campbell still didn't want to play, so he came up with a ridiculous asking price. Twenty minutes later he was temporarily out of retirement. Soon after, Campbell was on a motorbike holding a novelty cheque, having scored 92 off 52 balls. He enjoyed the cricket, and the crowds, but he was in no rush to make a comeback. 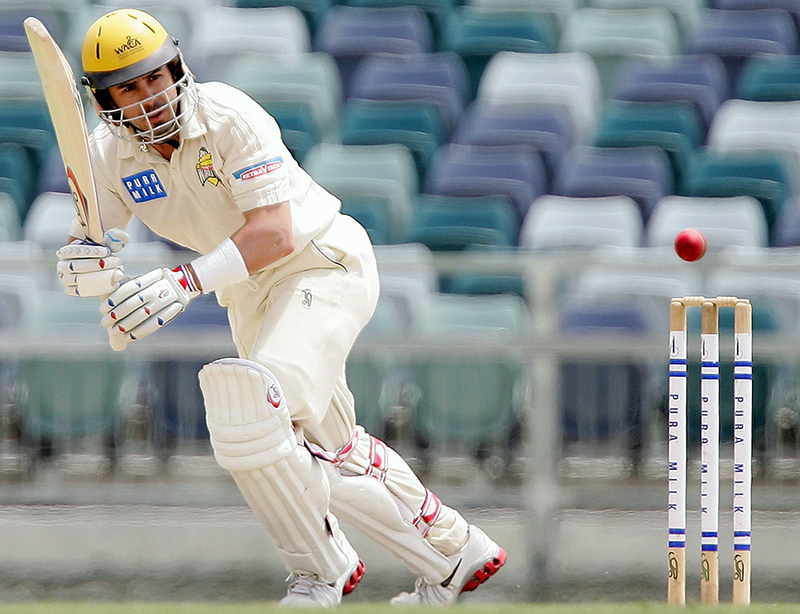 In 2010, Campbell's friend Burke contacted him about being a batting consultant in Hong Kong. Campbell enjoyed his time there, was excited about the amount of talent they had, but was soon back in Perth. In 2012, Burke let him know that the Kowloon Cricket Club coaching position was available. This time Campbell was 40. He had spent his whole life in Perth. His work in the media was fun, but scattered around many different jobs. The thought of a new adventure, and one solid employer, in the game he loved was something he wanted to try. 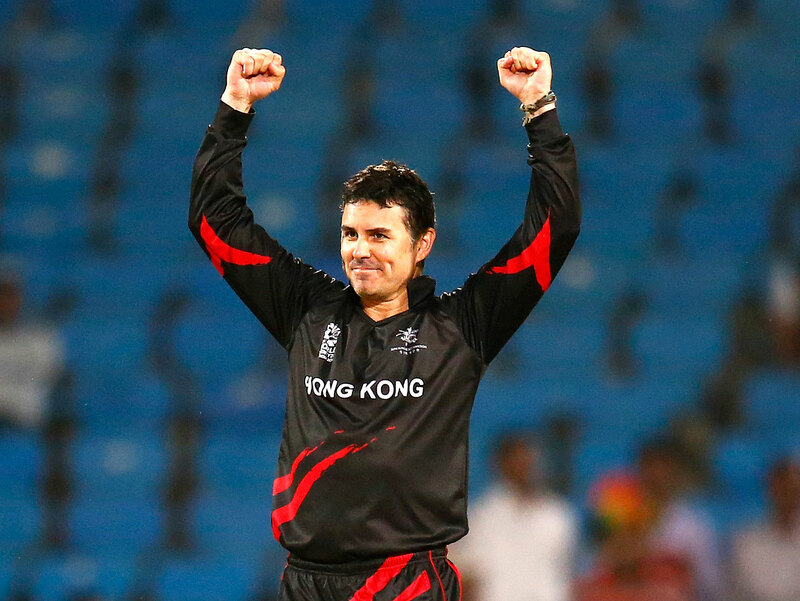 Just by flying in he could see one of the biggest problems facing Hong Kong cricket. "You go to Australia and there is green grass, space, a ground, on every street, nearly. Hong Kong is a beautiful place, but there is no space." Kowloon CC's land is worth potentially over a billion dollars. In a place where land is so expensive, making cricket grounds is not a priority. But the passion for cricket is there. "I have a school that practises on their roof. Dangerous, yes, but that's their only space". Campbell loved Hong Kong, the passion, the cricket, the culture. Although he has Chinese heritage through his mother's side, what made him most at home was meeting his fiancée. She, and now his young son, are both Hong Kong born and bred. He might be a Perth boy, in look and accent, but Hong Kong isn't just where he lives, it is his home. When Burke first suggested that Campbell come back, Campbell thought he must have been drunk. He said no. "Once again people are gonna talk about how Associate cricket is old expats, and I'll be seen as some old bloke trying to get a game of cricket." It was his fiancée, who knows nothing about cricket (and was almost hit by a Campbell six once), who suggested that he should find out the reasons, and if they were pure, he should consider it. The reasons were obvious: Campbell was qualified, he was one of the top run scorers in Hong Kong, and the average age of the team without him in it was almost in the teens. He also knew that while some would complain, it would help Hong Kong get noticed, "It's given Hong Kong a lot of good publicity. We want to get better and right now we need all the publicity we can get. We want to get more attention, we want to get better, we want to play in bigger tournaments, we want to get more and more money so we can pay for more and more players to go on tours and stuff like that". His role would be as an on-field batting coach, support in the field, a few overs, and, hopefully, the man to get them off to a flyer. That is why a 44-year-old batting coach became a dual international. But he was also a Hong Kong player, and that meant something to him, "That cap is bigger than you. It represents something. My Kowloon cap represents 118 years of history. You are now a part of that. And I guess when I was presented with mine for Hong Kong I was deeply touched, he [Burke] said some really nice words, and I'm glad I had the sunnies on and walked away, because it was getting a bit much." There is a bruise on the back of his thigh the size of a dinner plate. His groin is troubling him as well. His 44-year-old body looks young but feels old. He has been Hong Kong's most consistent bowler. 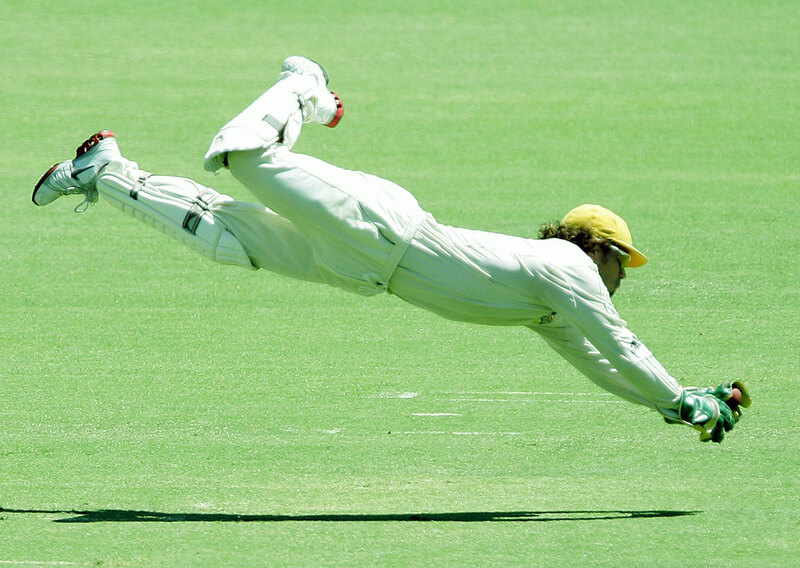 A quality fielder. And a calm head when needed. But now he needs to do something special with the bat. He was unlucky with his last game, but Hong Kong can't go home with a bad-luck story, "We need to win, because, unfortunately, we can't have honourable draws." Losing to Scotland is not an option. Campbell doesn't get much strike early on. When he does, it is two short balls and a slider from left-arm orthodox bowler Mark Watt. One finds a fielder, one is played back to the bowler, one he misses. Then he faces Gavin Main, who delivers a length ball wide outside off stump. It is just a bit wider than Campbell sets up for, so instead of slashing it over covers, he tries to blast it down the ground. The bat twists in his hand, one hand comes off, the ball flies off the face, high and long. Third man completes the catch. Campbell has made no runs in the game Hong Kong has to win. He doesn't swear. He doesn't lose it. He just looks disappointed. Disappointed that he couldn't help his team, the nation with 175 years of cricket history, win the game they needed to win. Disappointed that he came back, that he got his body right, that he spent time away from his young son, that he risked injury, that he risked embarrassment, and after all of it, he couldn't help the team he loves. The team he was prepared to go through all this for. The next time Hong Kong play in a WT20, Campbell will be 48. He isn't worried that this is his last chance, this was never about him. He is disappointed that it could be Hong Kong's last chance, and that he couldn't do anything about it. Ryan Campbell didn't know why he played as a kid - he just played. He knows why he plays now: he plays for Hong Kong.